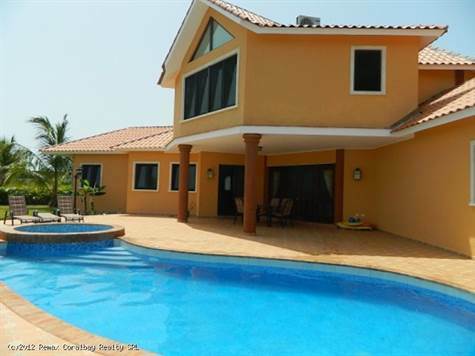 "New Luxury 3 Bedroom Villa"
Built in 2012 and located in one of the most prestige community, this large 3 level Villa comes fully furnished and decorated with the best. All wood throughout the house is of Caoba, high quality windows and doors. The master bedroom and master bathroom with Jacuzzi tub is on the main floor with large entrance way, office, living room and dining room with marble top dining table, fully equipped kitchen with stainless steel appliances, marble counter tops and center island. Two bedroom with en-suite on top level, all bathroom with marble top counters, guest bathroom with Jacuzzi tub, all bedrooms have air condition. A very large game room on the ground floor with Sauna, laundry room and bathroom... Beautifully landscaped yard with swimming pool and Jacuzzi... A great family house to enjoy !! !